First of all, I want to send a big shout-out to my dear friend, Christina MacLaren at SeaGlass Papercrafts! Happy (belated) birthday, sweets! There's a new inspiration challenge up and running today over at The Pink Elephant! 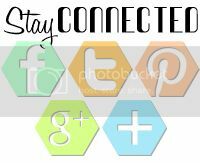 Check out this gorgeous inspiration photo! How about some more exciting news?! We're having a Uniko Studio Revisited Blog Hop using our FAVORITE Uniko stamps/dies...each designer has a prize up for grabs! All you have to do is comment to win...you have until the 14th to put your name into the hat! 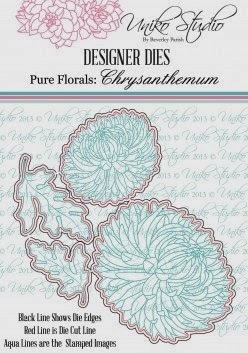 Here are some of my FAVORITE Uniko Studio stamps/dies...Pure Florals: Chrysanthemum...in a word, GORGEOUS! This is such a go-to set for me...here are three other projects that I've made using Pure Florals: Chrysanthemum! I'm giving away a £15 Uniko Studio gift certificate to one lucky commenter on this post...so go ahead and leave a little Uniko love for your chance to win! Here's the Blog Hop order for more chances to win some Uniko Studio goodness! 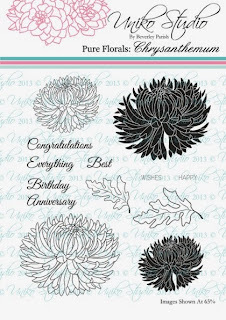 Stacey - Pure Florals: Chrysanthemum Stamp and Die Set - That's me! Great card! So good to see your other versions in different colours too. Thanks for the inspiration. Great autumn colours. 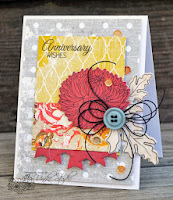 I love these gorgeous chrysanthemum stamps too. 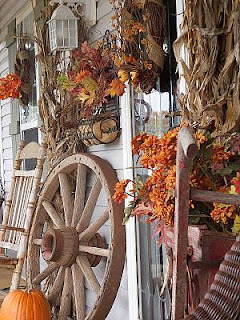 sigh, my fav set....this card is awesome...love how it is fall inspired, my favorite season! 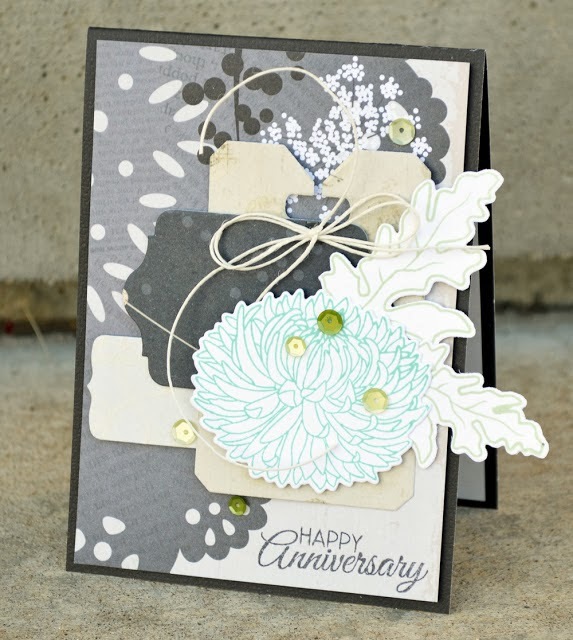 Gorgeous card - and yes, you have worked magic with this set over, and over and over! Beautiful inspiration! I LOVE what you do with this set Stacey, since purging all my su i don't have many large scale floral left and the detail in this one is amazing! Love your colors too! 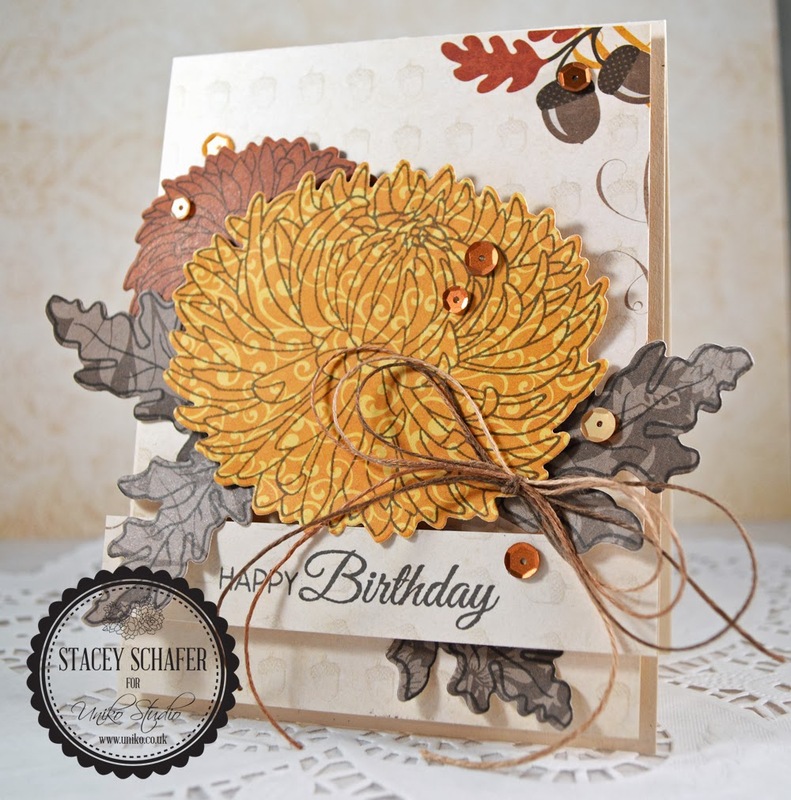 Gorgeous fall card, Stacey! Beautiful colors and scrumptious paper pieced mums! Love that the stamp set has the coordinating dies! Love how big and bold those flower are! Gorgeous cards! Beautiful Fall card! The crysanthamum stamp is gorgeous! Oh my goodness... Your cards are exquisite and gorgeous!!! Fabulous take on the insp. picture. I just looooove fall colours and your flowers (too lazy to type out the name LOL!) are stunning!! Gorgeous card. Oh my word. This card is beautiful, love the autumn colours and your layering with a touch of sequin. Simply divine. Love the autumn colours - this stamp and die are one of my absolute faves, so versatile! Wow! What a SUPER idea to stamp on designer paper. Very inspiring, I love the look of this! Amazing cards - love those flowers. Great project. Thank you for sharing. Beautiful card, and showing your different colour combinations was really inspiring. Thank you for sharing. Gorgeous fall card! Love the huge mum and especially like the fact that there is a die to do all the cutting! Thanks for sharing your lovely work! OHHHHHHH! 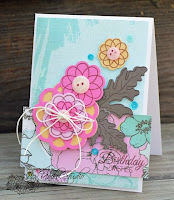 What a gorgeous card-- LOVE the papers and the gorgeous flower/leaves! LOVE LOVE LOVE your bow too-- you MUST teach me how to do that! And look at those sequins-- wow! This card is TOP NOTCH! These are absolutely amazing cards! I just love the autumn colors of the first one and with that little bit of bling (sequins)! Gorgeous! Thanks for the inspiration. I really must get this set out again and have a play. Lovely card. Wow. Stunning card. It really stands out. Great choice of colours too. This is gorgeous! Thanks for the opportunity! Great job! Love that mum stamp and how cool that there is a die for it as well. Delightful card, Stacey! Love those autumn colours and the twine bow. 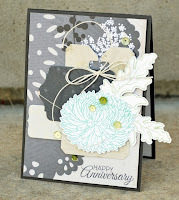 I love your big bold flowers and leaves and showing your other projects really highlight the versatility of this set. Thanks! 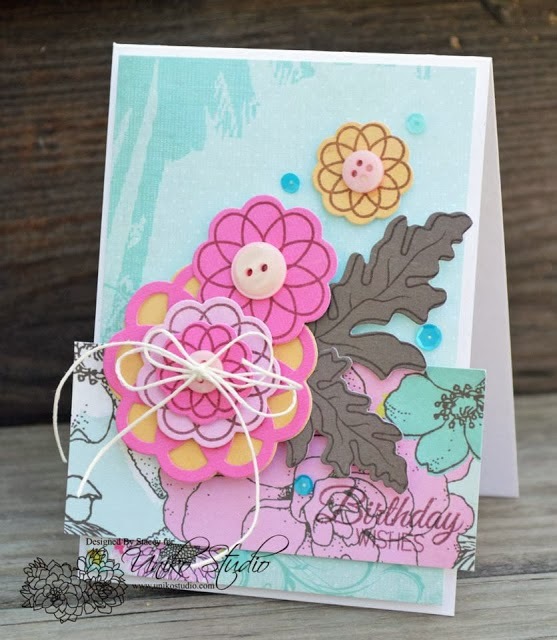 I am breathless with the beauty of your card and this incredible Chrysanthemum stamp. What a stunner!!! Wonderful interpretation of the PE challenge, too. How lovely of you to offer us a chance at such a generous voucher. You did not require us to follow you to be eligible (which I GREATLY appreciate), but I am a brand-new follower of yours by Google Friend, nonetheless. Yippee!! Wow love how that yellow really pops off the page!